Five star music president Emeka Okonkwo popularly known as ‘EMoney’ is a year older today and to celebrate it, he decided to give back to the street. To do this, he flashed back to sometime last year when the label’s front line act Kcee was on the street of Lagos hawking recharge cards. 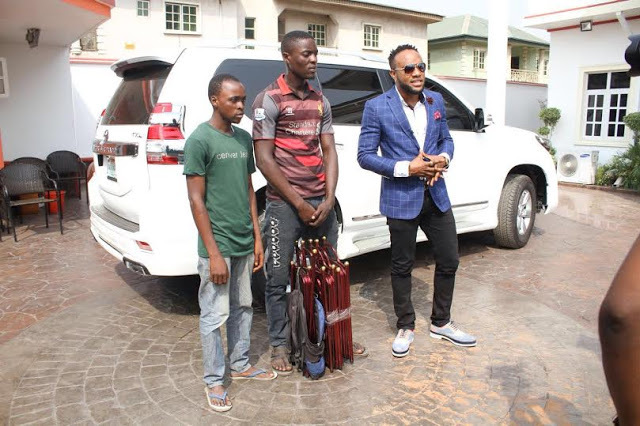 Kcee had met Promise, a ‘shoe – rack’ hawker from Ebonyi state who has been hawking for over 6 years and promised to help him. 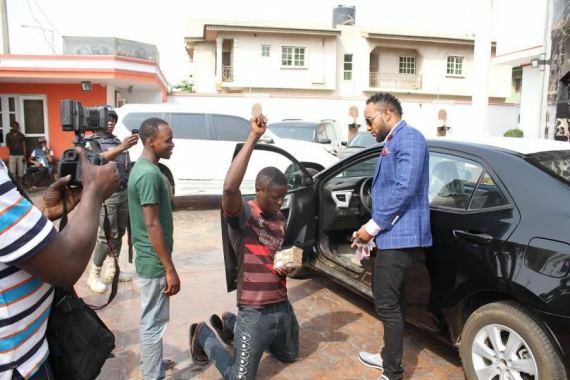 Fast forward to today and E-money’s desire to bless the street, the Five Star music crew went in search of Promise who hawks at ‘Ikeja Along’, Lagos. On getting there, the young man, Promise and brother has just been picked up by officials of KAI (Kick Against Indiscipline) and transported to their office in Alausa, Ikeja. Promise has just been given a brand new Toyota Corolla car courtesy of E-Money as well as the sum of #300,000 to get a new apartment. Also his brother and friend that Hawks with him also got a cash gift from the generous EMONEY. 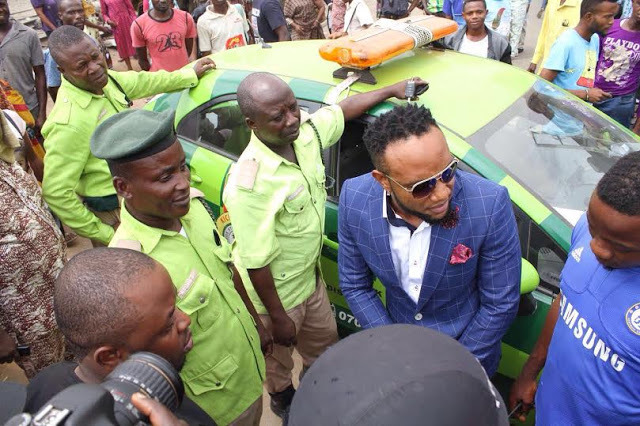 We reached out to Kcee to comment on this and he simply said, ‘If you follow the Five Star music family you’ll know this is what we do, it’s my brother’s birthday and he decided to give back to the street and we are grateful to God for his mercies and grace upon us.